The Far Northeast Area Plan needs volunteers! The Far Northeast Area Plan team is looking for volunteers to help collect sidewalk data in Green Valley Ranch. This is something volunteers can do on their mobile devices while walking their neighborhood at their convenience! If you regularly walk your community, belong to an exercise group, or simply would like to help, read more about this opportunity on our sign-up page. 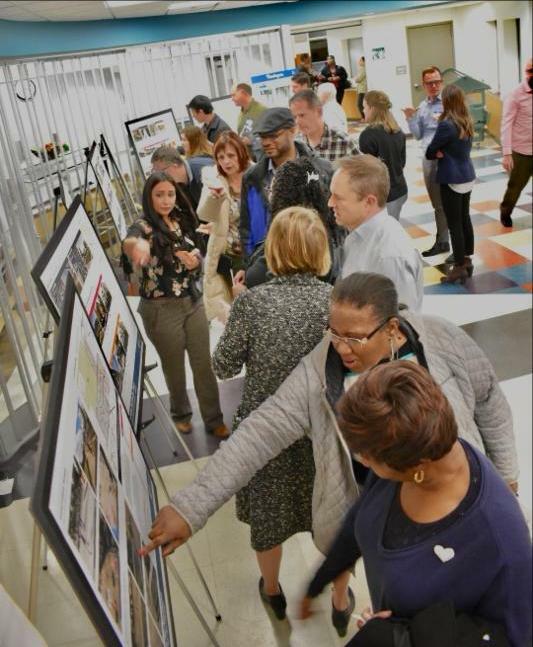 Caption: Attendees consider opportunity areas and focus topics for the Far Northeast Area Plan, during the third public meeting in the planning process. Learn more about the plan at DenverGov.org/farnortheastplan.